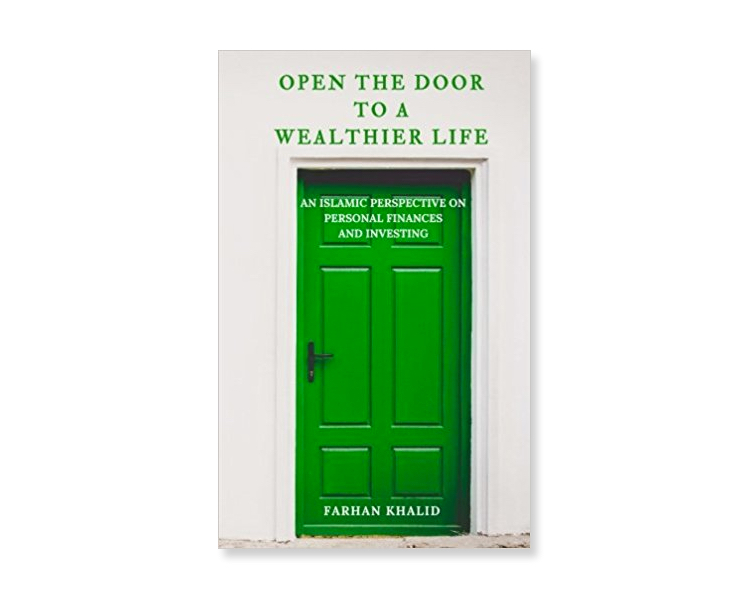 Open the Door to a Wealthier Life: An Islamic Perspective on Personal Finances and Investing by Farhan Khalid is in a nutshell a crash course on finance basics to live a more satisfying life wealth wise. Khalid is a Chicagoan business analyst with a MBA. He has authored other books on finance and some children’s books. Khalid is also a designer of creative Muslim apparel at Zazzle; ForksandSpoons. His book Open the Door to a Wealthier Life is a self-help financial book composed of eight chapters without taking into account the front and back matter of the book. Each chapter goes into concise detail about what you need to know to master finance terms and wealth. Khalid also gives many pointers based on his personal experience so the reader can watch out for curve balls. A wealth of information awaits. Are you ready to open the door? What I found more useful is the Islamic Funds section. I say this because I come from a finance and accounting background. So, a lot of the information wasn’t new to me. Moreover, the book explains concisely the available funds in the Islamic world to invest in; short and long-terms. In addition, it gives us options for more volatile and safer Islamic Funds out there and how to get started with halalinvesting. It’s a well-researched finance book that non-finance savvy readers—Muslims and non-Muslims— will greatly benefit from. I recommend it, and I pray the book becomes a source of great charity for the author. Aameen. Support the author and the ummah because 50% of the royalties from the sale of Open the Door to a Wealthier Life is donated to Islamic Relief USA. Islamic Relief has been providing humanitarian relief and aid throughout the world for people of all races and religions for over twenty years. Read an article on finance by him here. You can also read more about the author and his works at https://heyiwroteabook.com/ and https://www.amazon.com/default/e/B01MXG1GAT.